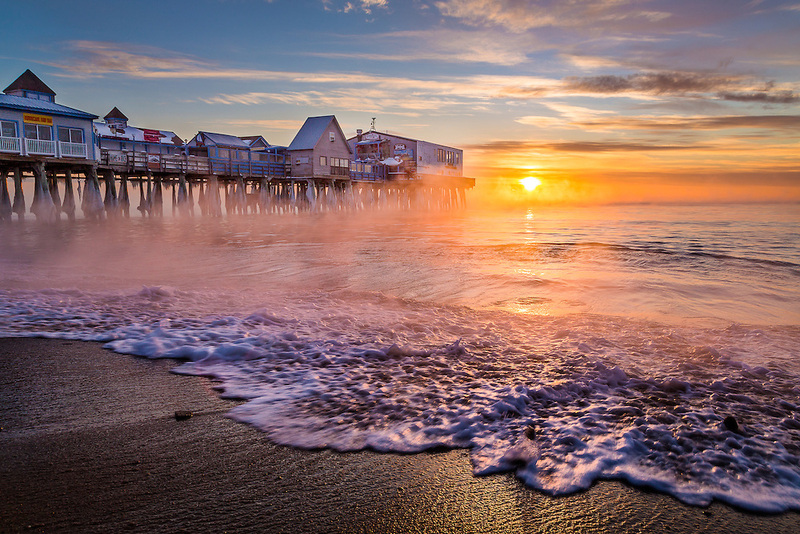 The Pier at Old Orchard is surrounded by ocean mist as frigid air moves over the relatively warmer water. It was about -7 when this was taken, and by the time we were done, both my boots and tripod legs were incased in ice. I love being on the beach any time of year, but it's especially compelling in the winter, when only the hardiest souls venture out.